it's the home stretch guys! i have exactly 29 days (excluding today) until i become a mrs! i'm getting a bit anxious because we've been dealing with some not-so-reliable vendors and because so many of the things on my monthly to-do lists for this wedding have been pushed into the month of may. however, there's a silver lining too: we signed the lease on our new home (hence, all the pins of interiors on my pinterest lately)! this last period has been very bittersweet and full of mixed feelings. i don't usually talk about very serious/personal things here, but one of the most difficult things about this period of time is my grandmother. she has fourth-stage lung cancer, but by God's grace has been okay for the most part living on her own... until the past couple weeks. the wonderful part of having my own business, is my ability to go and see her in the middle of the week and just help where needed. last week when i went to see her, i found that she had fallen in the restroom and couldn't get up for hours. we took her to the ER, where the doctor found fractures in both feet and in her hip. i know i shouldn't, but i feel so guilty that my wedding is during this period of time, where our family has more than enough to deal with. yet, despite what seems to be a bad situation, i trust that God is working and using the seemingly bad for his good plans. it's definitely been hard to be 100% at life: relationships, managing my business, preparing for marriage, etc.. i definitely feel that i'm not doing well in either category because i'm constantly being pulled to and from each one. i keep waiting for the period of time after the wedding when i can focus on one thing and be excellent at it, but i know that's not the nature of life :). in any case, here's looking forward to finally getting hitched! i wish i could post photos of the things we're working on but i want it to be a surprise! Wow Connie! 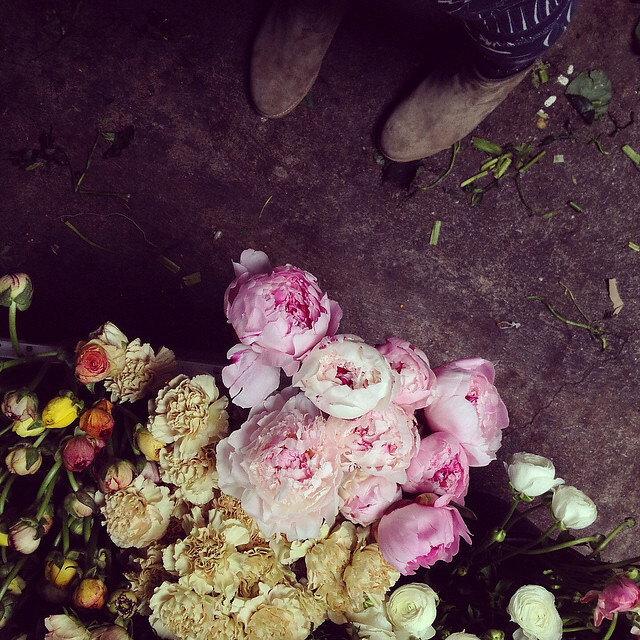 Those peonies are just amazing. They're my absolute favourite flower and are so beautiful. Best wishes for your exciting wedding prep!